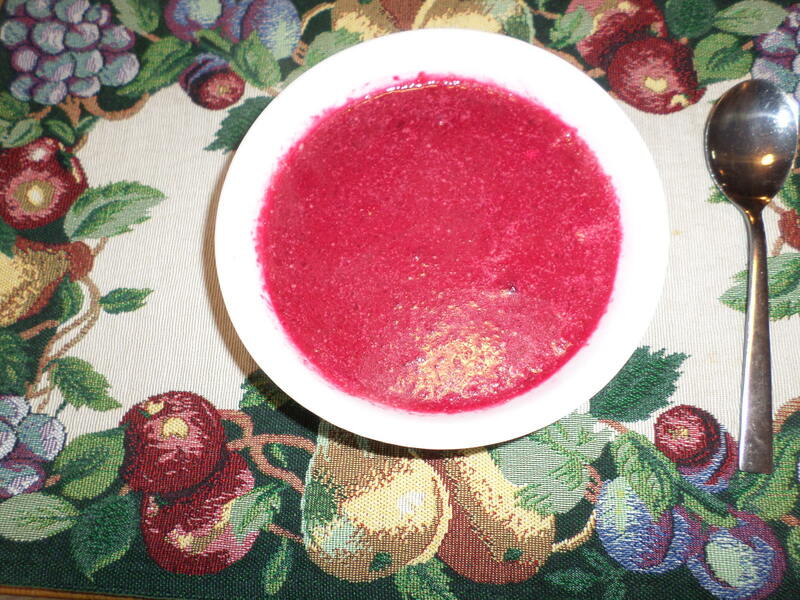 It seems incredibly satisfying to go out the garden and harvest beets in February, bring them in and make a delicious hearty healthy beet soup. Beets are a great anti-oxidant, and are also a good source of fiber, folate, potassium, magnesium, Vitamin C, manganese, copper, iron, and phosphorus. As they only contain 74 calories per cup and cooked beet greens contain only 39 calories per cup, they are an ideal food for healthy weight control. 2. 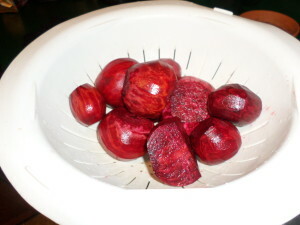 Peel beets while sauteing an onion in a large soup pot. 3. 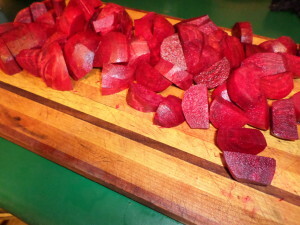 Chop beets and add to soup pot with plenty of water to cover beets. 4. Cook for about an hour until the beets are tender. 5. Puree in food processor or blender (let cool first). 6. Add cream cheese or sour cream for a creamier soup. 7. Serve. Optional side – some crusty homemade bread. As the greens were a bit rough looking, I gave them to the rabbits who thoroughly appreciated them. 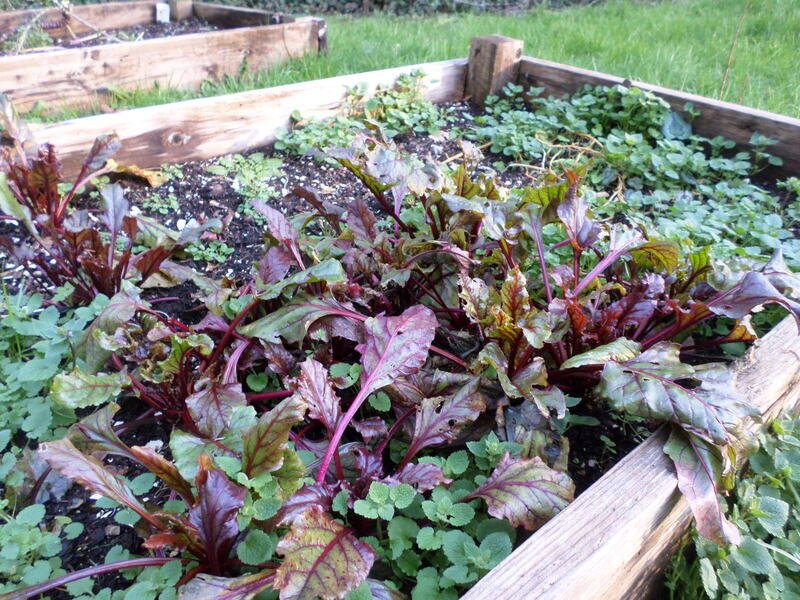 Otherwise beet greens are an extremely nutritious vegetable as well.